I hope you enjoy exploring the site and that you can find what you are looking for. I'm always happy to hear from visitors and find out what you think or answer any queries you might have. You might want to drop by the www.kistodreams.org site as well. There is a lot on there that I didn't have room for here, particularly my work with lullabies and children's songs. You will find all sorts here on the songs I sing, the work I do and the other people with whom I work. Here is one of the children's songs I recorded for Bairn's Kist, which is also included in a resource pack being made available to teachers who want to introduce a little Scots language into their classrooms! I am not just involved in songs for children - I am passionate about Scotland's rich oral traditions, both light and dark. Enter the eerie otherworld of Scottish traditions of the supernatural with a double album of songs, stories and folklore. "Haunting" is made up of 14 song tracks in Gaelic, Scots and English and 14 spoken word tracks in English with a Scottish Highland flavour. "Now here’s something of a rarity - a folk concept-style double album - one CD of song, the other of spoken word. 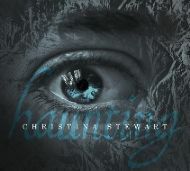 ‘Haunting’ from Christina Stewart raises the bar on the traditional interface between story and song. 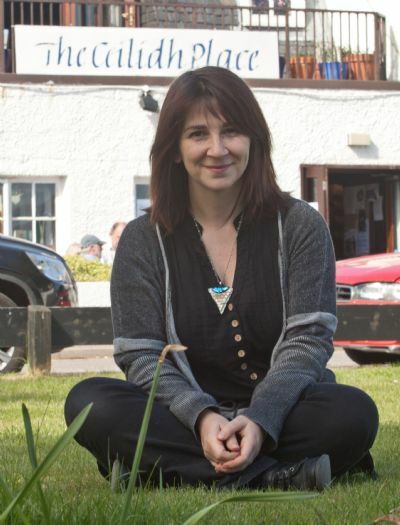 There’s an absolute wealth of myth and legend within, delivered in Gaelic, Scots and English." "Two features of Scots culture are portrayed beautifully by Christina Stewart in this excellent double album. The result is an entrancing and delightful journey through history, morality and folklore. ... a joy to listeners with an interest in Scots music and an inspiration to anyone wishing to learn more aout the skills of storytelling."